Cherry Hill is a township in Camden County just outside of Philadelphia and the Delaware River. In fact, many professional athletes from notable Philadelphia teams reside in Cherry Hill when they’re not on the field or on the ice. The town features several major shopping areas and malls that bring visitors all throughout surrounding areas. One of the major attractions to Cherry Hill is its collection of picturesque neighborhoods that make it an ideal place to raise a family. 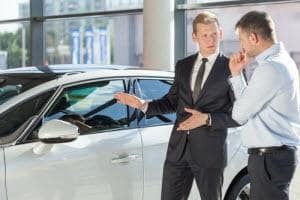 Although there are plenty of shops, restaurants, and boutiques that can be found in Cherry Hill, residents looking to get behind the wheel of a stylish luxury car have to look a little further to find something like a Cherry Hill Porsche dealer, but luckily, Porsche Toms River can help you. 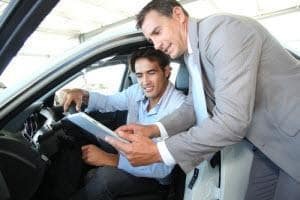 When you’re ready to embark on an adventure to find the right coupe, crossover, or stylish sedan, having a Porsche dealership near Cherry Hill is a huge benefit. It’s easy to get to when you’re ready to start taking the necessary steps, but in the meantime you can get a head start on the search for your next luxury car – all while sitting comfortably in your home. Our entire Porsche inventory can be viewed online, so you can scan our showroom to see which models you’re interested in checking out up close. After you’ve had a chance to check out our inventory and pick out some favorite models, whether it’s the sleek and alluring Porsche 911, the spacious and stylish Cayenne, or even the sophisticated and refined Panamera, you’ll certainly have your pick from our inventory. But when you arrive, you’ll have friendly expert sales associates that can help you every step of the way. They’ll highlight the different options, explore the different features, and give you their honest opinions to help you come up with a decision that you’re happy with. Of course, when you think you’ve found the one, they’ll set you up behind the wheel for the test drive so you can really be sure. Owning and operating a luxury car like a Porsche is great for adding a little style and power to routine trips throughout the area. One of the most important steps for a Porsche owner is proper care and maintenance of their vehicle. Luckily, you can always head to your Porsche dealer by Cherry Hill for expert Porsche service and maintenance. Our team of technicians are here to help you care for your vehicle and keep it in its pristine condition for the years to come so you can get as much enjoyment out of it as possible. Through regular maintenance, which you can schedule online, you can actually increase its longevity and keep it lasting. 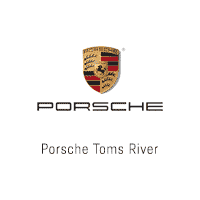 Porsche Toms River is here to help Cherry Hill drivers make the right decision towards their next luxury car.